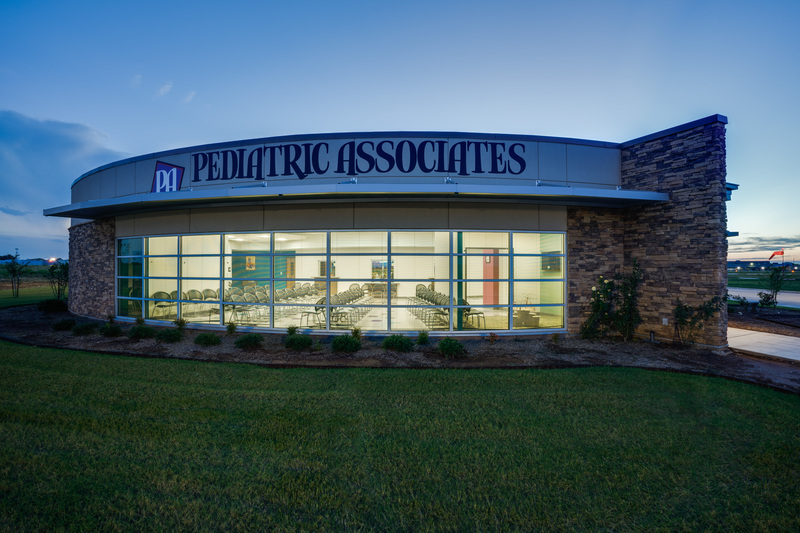 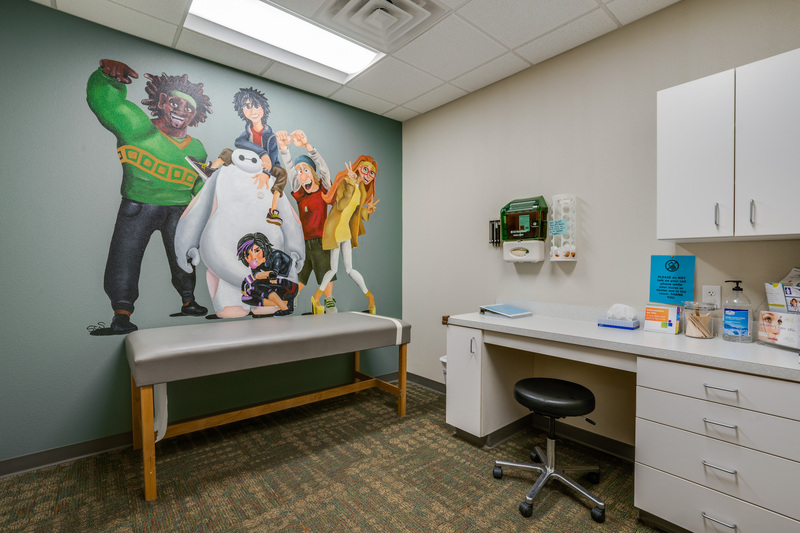 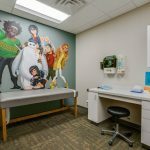 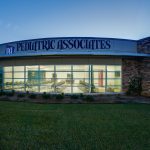 SLA completed the design for a new Pediatric Clinic for Dr. Terry Johnson in August of 2014 with the construction completed in May of 2016. 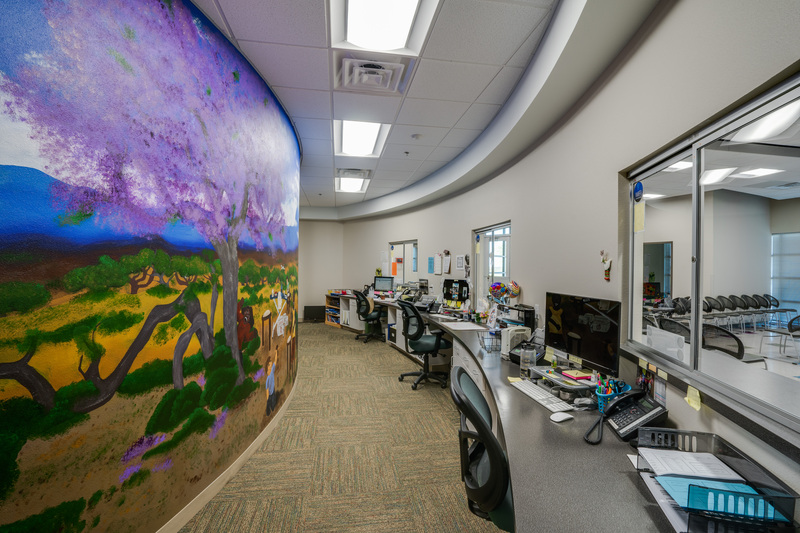 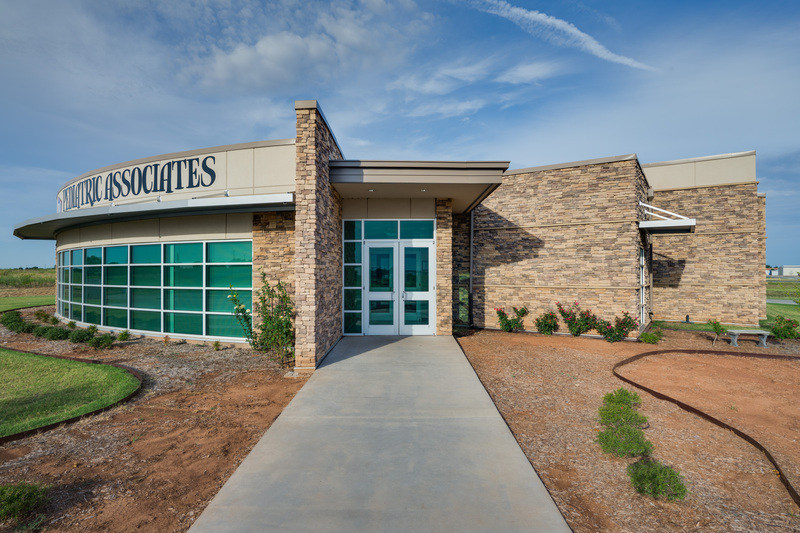 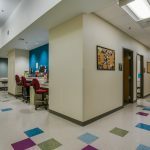 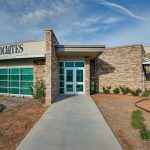 Located in the Cherokee Industrial Park near the Kickapoo Airport in a rural area on the outskirts of Wichita Falls, the Clinic is designed for eight medical providers with associated Nursing and Support staff offering clinical services in 22 exam rooms. 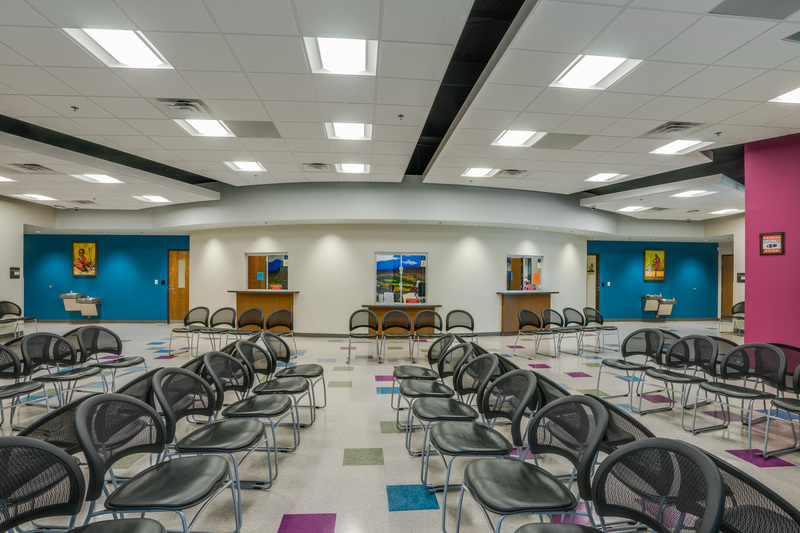 Waiting room space accommodates 116 total and is segregated to provide separate sick waiting and play space. 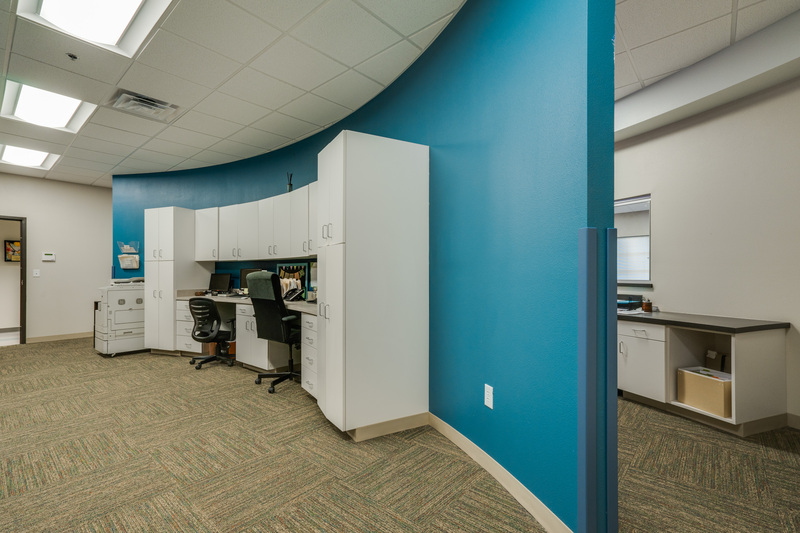 Support functions and employee areas are arranged in the central building core, which includes a tornado shelter. 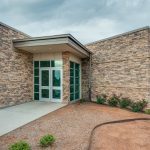 The 11,200sf building is a single story structure sitting on three acres. 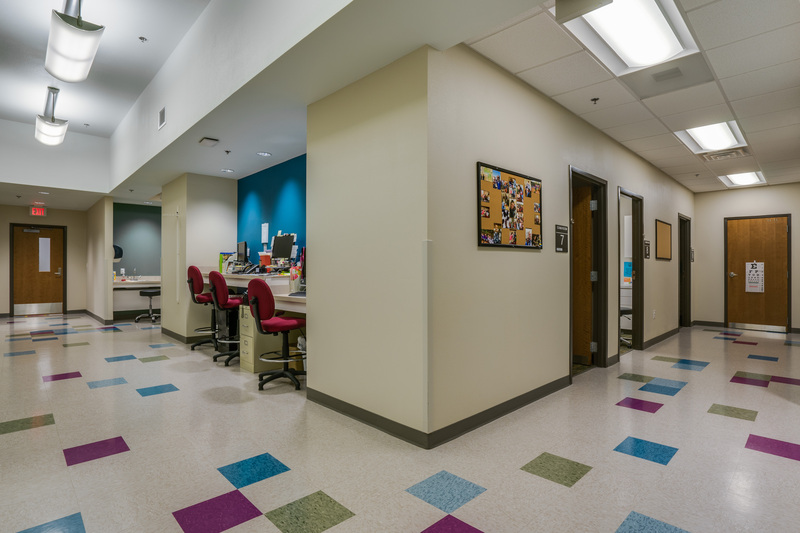 Site development included a significant amount of space dedicated to paved parking for patients and staff. 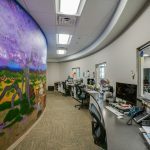 The Clinic is designed with a conventionally-framed, structural steel superstructure on a reinforced concrete slab-on-grade with drilled pier foundation system. 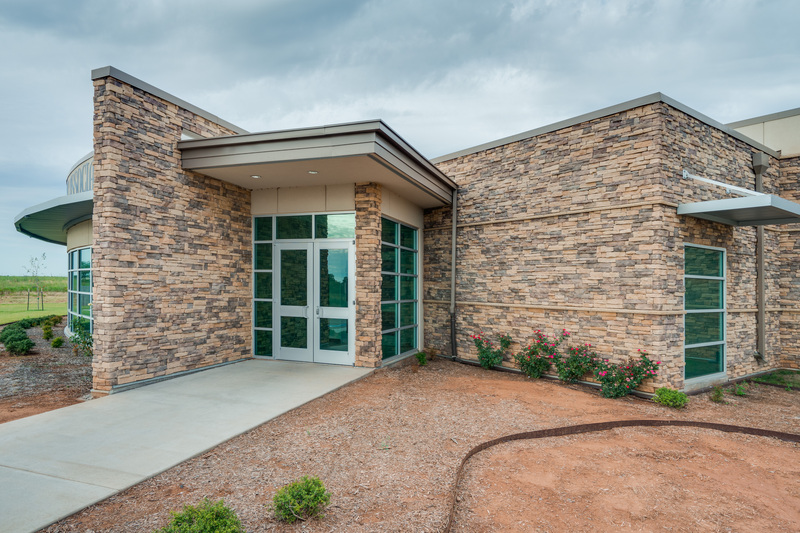 The building’s exterior envelope is designed with cold-formed steel framing with insulated sheathing and a combination of both EIFS and Adhered Stone Veneer masonry. 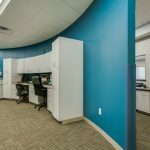 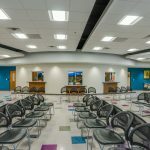 The building interior consists of board partitions, suspended acoustical ceilings, carpet and vinyl tile flooring, wood doors in steel frames, millwork cabinets, solid surface and plastic laminate counters.